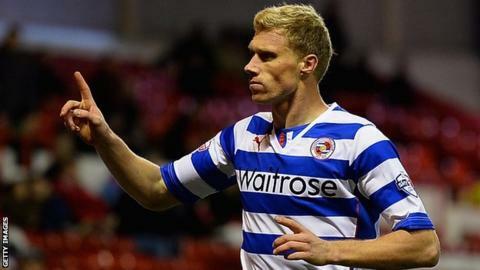 Former Premier League striker Pavel Pogrebnyak has been fined £2,950 for saying it was "laughable" to have black players in the Russian national team. The 35-year-old, who plays for Russian top flight side Ural Yekaterinburg, was also given a suspended ban by the Russian Football Union on Tuesday. The ban, until the end of the season, would come into effect if he made more discriminatory remarks. The ex-Reading player will not appeal against the verdict and has apologised. Pogrebnyak's comments - made in an interview with the Komsomolskaya Pravda daily newspaper last week - were condemned by Russian president Vladimir Putin's human rights adviser Mikhail Fedotov. Pogrebnyak, who also played for Fulham, said he was opposed to the recent trend of non-Russian players receiving Russian passports and potentially going on to represent the country in international games. Pogrebnyak, who won 33 caps for Russia, later said he did "not have anything against black players". "In the interview I voiced my strictly personal opinion that in the Russian national side I would like to see footballers who were born and raised in our country. That is all," he said. "I did not mean to insult anyone."